Nikon Coolpix P520 is a house of features at budget . Nikon P520 comes with 18.1MP resolution of image sensor and 42X optical Zoom . The Lcd monitor of Nikon P520 is on 3.2inch various angle TFT LCD monitor with wide viewing angle . There are many thing in Nikon coolpix P520 which set it apart from other camera’s in the market at this price . It is successor to Coolpix P510 . Nikon Coolpix P520 is also compatible with Wireless Mobile Adapter WU-1a* but you need to buy it separately . If we talk about the look and feel of Nikon Coolpix P520 then camera looks similar to P510 but also there are some minor changes in design . When compare to P510 then design of P520 looks more premium and robust then P510 . At top there is logo of Gps satellite which indicates the Gps functionality . The Lcd monitor of P520 can rotate-able to various angles and button at rear looks more tactile then P510 , also the rear design look to be squarish due to which camera looks more premium and durable . The button dedicated for quick media view is also removed from P520 Nikon does same as Fujifilm does in HS50EXR but Fujifilm removed many array buttons whereas only one button is removed in P520 . At top of the camera there is mode dialer , shutter button , zoom controller , Fn button and power on/off button . Nikon Coolpix P520 will be available in three colours RED , BLACK & SILVER . What is new in Nikon Coolpix P520 ? Nikon did many changes in Coolpix P520 when we compare it to Coolpix P510 . Nikon coolpix P520 comes with 18.1MP of resolution of 1/2.3-inch CMOS type image sensor whereas it is 16MP in Nikon Coolpix P510 . Although the optical zoom both cameras remain the same that is 42x Optical zoom . Also the screen size on Nikon P520 which is 3.2 inch is 0.2 inch more than Nikon P510 . Nikon Coolpix P520 can record 1080p videos at 30fps / 52fps / 60 i /50 i and 720p at 60fps . Nikon Coolpix P520 also has wifi , Wireless Mobile Adapter WU-1a functionality and in-built GPS . As we said before – Nikon Coolpix P520 comes with 18.1 Million Pixels resolution & 42X digital zoom . Nikon P520 can perform 7-fps high-speed continuous shooting up to 7 frames at maximum image size . The camera is powered with EN-EL5 Li-ion rechargeable battery which can take upto 200 shots . Camera has in-built Gps which can store location info of picture and videos captured by P520 . The Wireless Mobile Adapter WU-1a functionality in Coolpix P520 helps you to share media from your camera to your smart phones , not just that you can also see the view that P520 is capturing on your smart devices . Nikon P520 weights 550gram including battery and memory . Coolpix P520 has shutter speed of 1/4000-1 sec , ISO of 80 – 3200 , image size 4896 x 3672 , focus area – 9 area automatic selection with 99 area manual selection . 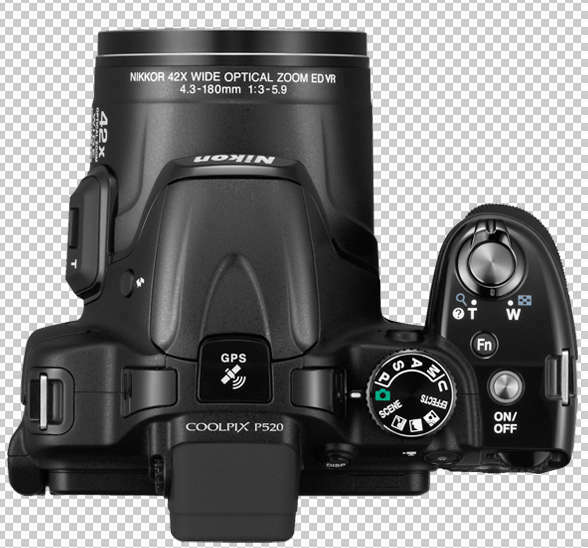 Image stabilization used in Nikon Coolpix P520 is lens shift ( VR ) . The lens used in the camera is NIKKOR glass lens with focal length of 4.3-180mm . The 3.2inch Lcd monitor has resolution of 920 dots . Nikon Coolpix P520 has focus range of 50cm to infinity and in macro close up 1cm to infinity . 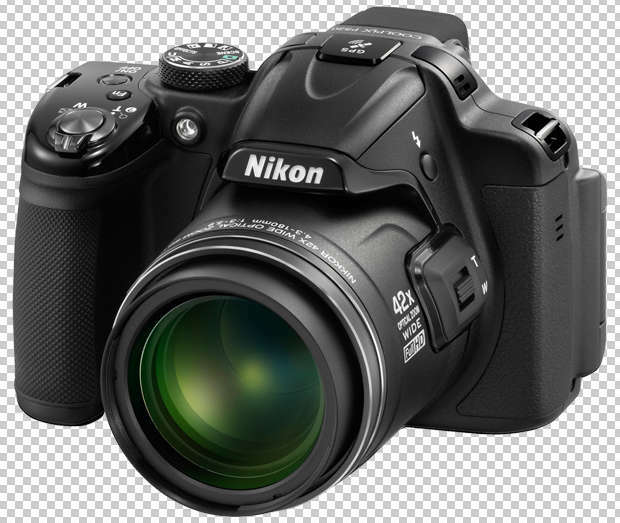 Nikon Coolpix P520 ” Scenes mode and In – camera Image editing ” makes it more approachable for user . The viewfinder of the camera is of 0.5cm having resolution of 201k dots . 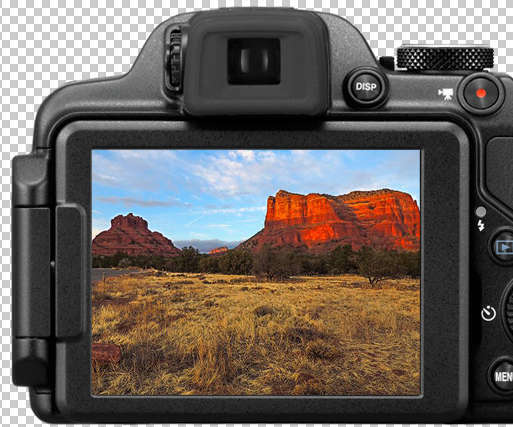 The TFT LCD monitor of the camera can rotate-able to various angles . NIKON COOLPIX P520 has three terminals – (A/V) output , Digital i/o ( USB ) & HDMI mini connector ( Type C ) . The camera does have manual focus functionality . Nikon Coolpix P520 price is $449.95 & Price in India is Rs 24,000 . Package Includes – USB Cable , EN-EL5 Li-ion Battery ,EH-69P AC Charger ,AN-CP21 Strap , Lens Cap , software /driver CD-ROM . If we compare Coolpix P520 t0 Fujifilm Finepix HS50EXR then there are many things that may confuse you , Fujifilm HS50exr is $100 more expensive then Nikon P520 . But also there is terminal / port for external mic in Fujifilm HS50exr but for that You have to pay $100 more ….. you can see full review of Fujifilm HS50EXR here …..
Fujifilm Finepix Sl1000 has 16.1 MP of image sensor & has 50x optical zoom . Fujifilm Finepix SL1000 price is also less than Nikon P520 . You can check review of Fujifilm Finepix SL1000 . 3.2 inch TFT moitor display that can be rotatable .